«©NCSX» A few years ago when we were still dabbling in Zippo lighters, NCS bought USA versions in bulk for under $15 each. Some were as low as $5. Imagine our bewilderment back in 1998 when we received a preorder offer from a Japanese vendor for the Beatmania 3rd Mix Zippo. Cost to us? A lofty $60. For a lighter. Sure, the Beatmania lighter was limited to only 500 pieces but it was a Zippo and we normally paid a quarter of that asking price. The Beatmania Zippo was our introduction to Japanese Zippos and over the years, we've imported even pricier models featuring Transformers, Lupin, Final Fantasy, Sakura Taisen, and many more. NCS imports yet another limited edition Zippo today and this one's a doozy. The price is pretty high but that's because the lighter was limited for sale only on a Banpresto website for a limited time between October 23 to November 6. Add in the unfavorable yen/dollar exchange rate, shipping charges from Japan, and vendor handling costs and we have severe price inflation on our hands. We had to get them for our own collection (the Sega historical vault) however and NCS also imported quantity for customers a sizable quantity for interested customers with refined tastes. 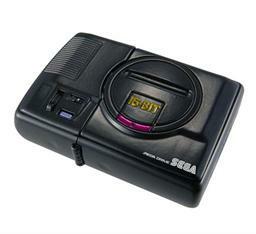 The Mega-Drive Zippo looks like a perfect recreation of Sega's 16-bit console complete with power button, reset button, and the cosmetic ridges on the left of the console. The only giveaway that this is a Zippo is the little hinge on the side which allows the top to be popped over so you can light up a cigarette, ignite a firecracker, or illuminate the darkness with a handheld torch. Since we got them in time, the Mega Drive Zippo might be the perfect gift for that special someone in your life who still plays Mega-Drive games. In the basement. Late at night and usually accompanied by crunchy snacks. Back in the early 90s when we were still dabbling in Zippo lighters, NCS bought USA versions in bulk for under $15 each. Some were as low as $5.